An introduction to extreme sports including mountain biking, skydiving, urban sports like skateboarding and watery extremes such as surfing and whitewater kayaking. 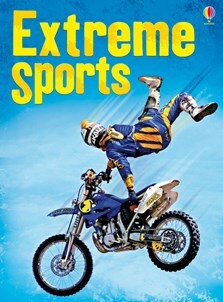 Combines photos and factfiles with comic-style picturestrips of real-life extreme sports stories. Internet links allow readers to find out more at carefully selected and monitored websites, via Usborne Quicklinks.